When designing a layout for your website it is essential to check it in multiple browsers. Few years back over 90% of web surfers were using Microsoft Internet Explorer but nowadays other browsers fast gaining share of the market. Most popular are Mozilla FairFox and Opera. Even Internet Explorer has released new version (IE7) which works much different from the preceding version (IE6). Layout and styles configured to work fine in IE may appear all broken or not readable in other browsers. I can guarantee – no one will open another browser just to see your site, so you will loose potential customer. I am sure everyone heard word “diversify” many times but mostly it’s used when someone is talking about the investments. I will use word “diversify” in relationship to online business. There are many ways to make money online and I will talk about them later on but right now lets concentrate on the blog as the one of your potential internet streams of income. I will call it Blog Income Stream. Probably easiest and fastest option to get started with new blog is to use free Blogger account from Google. Why Blogger? The answer is simple – it’s easy, it’s fast, and most important – it’s free! Wouldn’t you like someone offering you fully equipped store to use rent free? 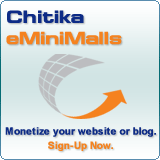 That’s exactly what Blogger gives you – fully featured online store. You still want to personalize the blog to make it unique and attractive to the visitors. Building online business image and brand recognition probably even more important that for a regular off line business.